Estadio Centenario was built to serve as the centrepiece venue for the 1930 World Cup. 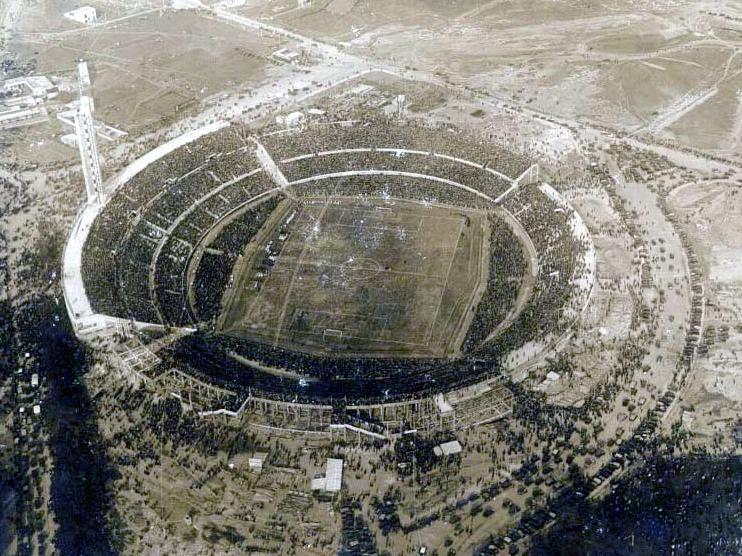 It officially opened on 18 July 1930 with the World Cup match between Uruguay and Peru (1-0). It hosted seven more group matches, both semi-finals, and the final between Uruguay and Argentina (4-2). 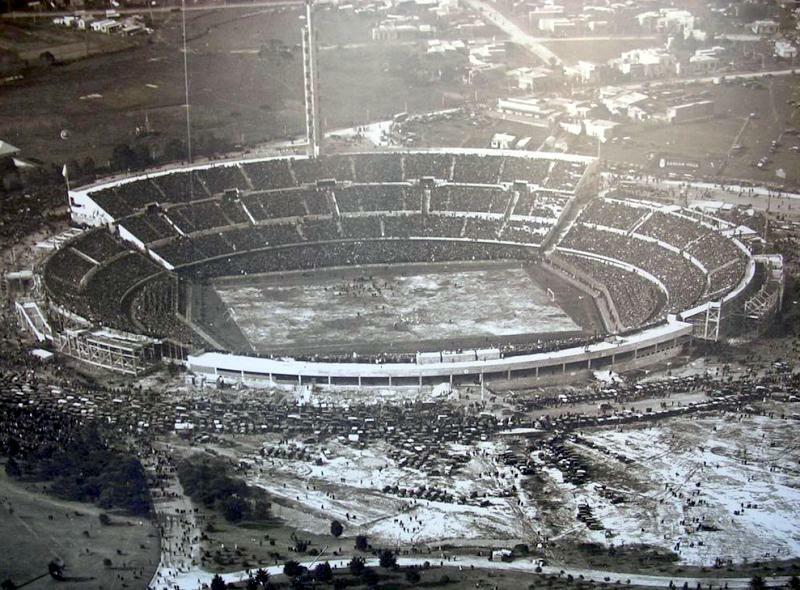 The stadium had originally been planned to host all World Cup matches, but due to heavy rains construction was delayed and part of the matches were moved to Estadio Gran Parque Central and Estadio Pocitos. Estadio Centenario was named after the 100th anniversary of the Uruguayan constitution. In its first decades, it could hold just under 100,000 spectators. Few changes have been made since its inauguration, though capacity has been reduced due to the conversion of standing areas to seats. Over the years, Estadio Centenario has hosted four finals of the Copa América, the last time in 1995. Estadio Centenario is not owned by a club, and therefore any club can rent the stadium. Peñarol used to use the stadium for practically every home match, but moved away to their own new ground in 2016. 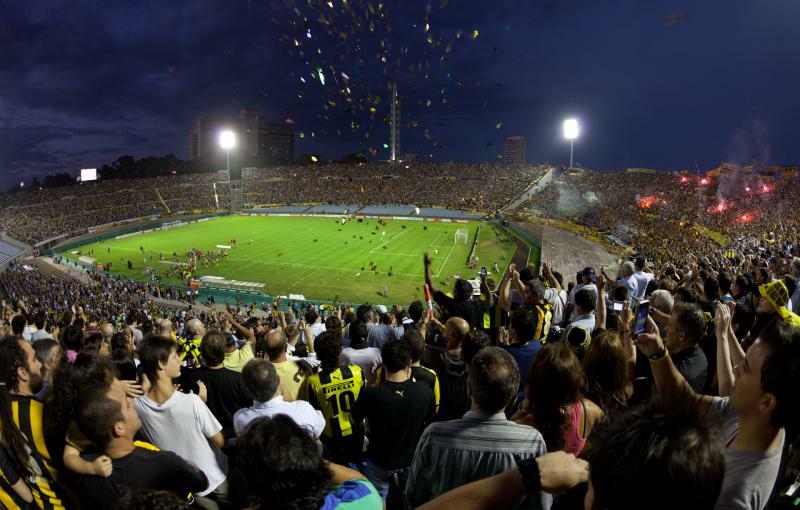 Other clubs tend to use the stadium for high-profile matches like in the Copa Libertadores and their home matches against Peñarol and Nacional to increase gate receipts. Estadio Centenario is furthermore the standard playing venue of the Uruguay national team. Estadio Centenario is located in central Montevideo, about 4.5 kilometres east of the old city centre. It lies very close to the Tres Cruces central bus terminal, from where it is a short 10 to 15-minute walk. From the historic centre you can reach the stadium with bus 115 and 143. Catch bus 143 from Mercedes street (two blocks north of Av. 18 de Julio). The bus runs almost in a straight line to the stadium. Get off at the Av. Dr. Americo Ricaldoni (corner Av. Italia). Bus 115 uses a slightly more roundabout way to get to the stadium. You can get on the bus at Andes street at the crossing with Av. 18 de Julio (near Plaza Independencia) and get off at the Av. Dr. Americo Ricaldoni (corner Av. Italia). Bus 21, 64 (both from Av. 18 de Julio), D9, and D10 (both from Buenos Aires and Av. 18 de Julio) can also be used. They are quick and all pass the stadium at very close distance, though not exactly in front of it, which makes it harder to orientate where to get off (which is at the Av. Italia corner Av. Dr. Americo Ricaldoni). Estadio Centenario is part of a larger complex consisting of other sports facilities and park areas. 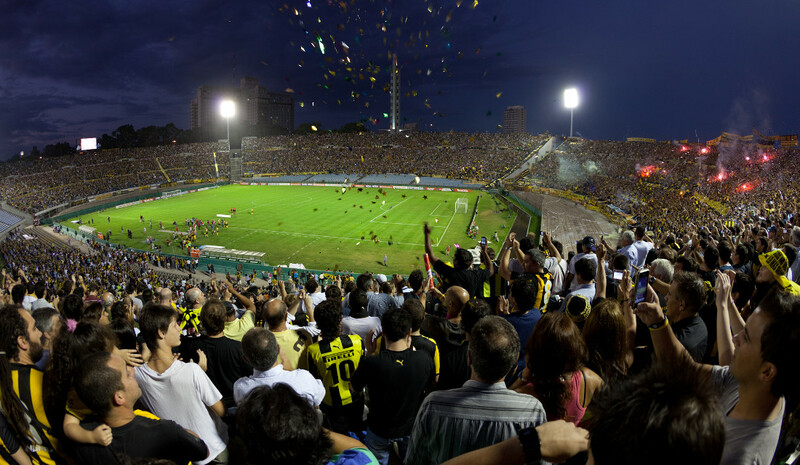 The stadium is located rather central in Montevideo, which means that there is a decent supply of local bars and retaurants – especially on the city centre side toward the bus terminal -, though for serious nightlife you need to head to the old city centre or the southern Pocitos and Parque Rodo areas. One of the few hotels at close walking distance of Estadio Centenario, about 15 minutes, is the Days Inn near the bus terminal. Otherwise there are plenty of options in Montevideo’s old city, or in the more upscale areas on the southern coast. In fact, the stadium can easily be walked to from the likes of Marti Apart Hotel, Massini Suites, or After Hotel Montevideo. Click here for an overview of hotels near Estadio Centenario and the surrounding areas. Tickets for Uruguay games can be bought through the Abitab payment network. It has many branches, more than ten alone in the historic city centre (e.g. one at Plaza Independencia), and also one at Estadio Centenario. Estadio Centenario houses the Museo de Futbol, which is dedicated to the history of Uruguayan football. The museum opens Monday to Friday from 10:00 am to 5:00 pm. Entrance costs UR$ 80.00. Peñarol.org – Official website of CA Peñarol. Estadiocentenario.com.uy– Official website of Estadio Centenario. Montevideo.com.uy – Public transport journey planner.